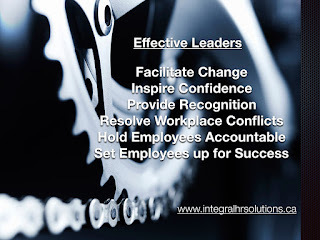 As Managing Director and Founder of Integral HR Solutions we have created a highly service oriented consulting practice that specializes in providing leadership coaching, management training along will a full suite of human resources services and support offerings to a wide variety of organizations. Working out of Brampton as well as Sarnia, Ontario we support clients throughout the Province, across the Country, and internationally as the need arises. Privileged to be a panel member at next weeks Breakfast Club session in London, Ontario. Attracting and retaining top talent is on the agenda. Join us at our April Breakfast session for an interactive panel discussion to discuss best practices surrounding successfully attracting and retaining top talent from outside the City of London. Nearly three quarters of organizations in England reported a deficit of management and leadership skills. This deficit is contributing to the productivity gap with countries like Germany and Japan. Best-practice management development can result in a 23% increase in organizational performance. A single point improvement in management practices (rated on a five-point scale) is associated with the same increase in output as a 25% increase in the labour force or a 65% percent increase in invested capital. What does the above-mentioned summary mean for organizations that are looking for a competitive advantage in a challenging market? It should be quite evident that when organizations are searching for competitive advantages, the workforce itself represents the largest reservoir of untapped potential. Specifically, front-line leaders can have a tremendous impact when they provide the appropriate levels of referent leadership. It’s evident that it is becoming increasingly difficult to attract and retain competent people. It’s also (very) evident that levels of employee engagement in many organizations have fallen far below required levels. 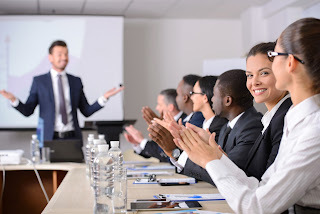 Study after study reinforces the fact that levels of employee engagement have a direct impact on organizational performance and ultimately bottom line profits. My advice to business owners/senior leaders is to give consideration to establishing and introducing practical, best in class practices, procedures and strategies that will create opportunities to realize increases in organizational performance (as outlined in the UK study). I was working with a client out of Mexico City; the owner of the business had realized tremendous growth and organizational success. That said, he wanted to position the organization (50 industrial sector production & retail service centre’s throughout Mexico) for long-term sustainable profitable growth. The business owner and I met over dinner to finalize the strategy; he clearly stated that he was ‘frightened’ about the initiative. He went on to clarify that venturing out of his comfort zone, holding key leaders accountable for performance and transitioning to a constructive culture was intimidating to say the least. I simply responded with asking “what is the cost of not embracing the agreed upon strategies”? Needless to say, we moved forward with the strategy, the organization has not looked back! Quite simply, organizations of all sizes can adopt proven strategies that create increased levels of engagement that ultimately lead to improved organizational performance. That said, the foundation mentioned above can be likened to a three legged stool. Eliminating one element (or leg) will result in the overall strategy collapsing down. Integral HR Solutions Inc. works with organizations of all shapes and sizes. We work in collaboration with senior leaders to establish a desired (optimal) culture. We then facilitate leadership training and coaching that creates alignment amongst senior leaders. Our training and developmental programs assist organizations introduce proven methodologies that allow for the successful introduction of change initiatives. Once such an initiative takes traction, organizations become less dependent on our support. Leaders take accountability for ensuring that all employees are set up for success. 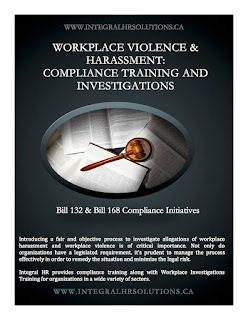 Additional information about our support and services along with client testimonials are posted on our website at www.integralhrsolutions.ca. My 'takeaways' from a number of leadership coaching interventions are summed up on the attached slide. In addition to (always) treating people with dignity and respect, the referenced leadership principles are critical to success for anyone attempting to build credibility in a leadership role. Integral HR Solutions is based out of Sarnia and Brampton, Ontario. Don't hesitate to reach out to discuss leadership training, coaching and HR support needs! I'm extremely pleased to announce that Integral HR Solutions (www.integralhrsolutions.ca) is partnering with The Pacific Institute to deliver world class leadership development education. I invite you to link through to the attached newsletter that references our strategic partnership and product offerings. Don't hesitate to reach out if you would like to receive email updates about our events locally and globally.